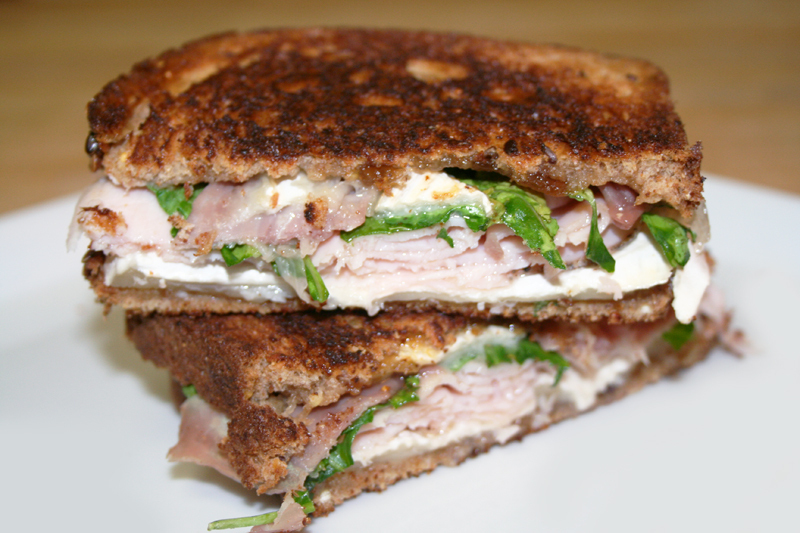 This particular sandwich is a toasty, melty combination of creamy brie, peppery arugula and sweet fig jam. Turkey and salty prosciutto serve as the proteins of choice in this heavenly griddled sandwich. The entire thing hits your taste buds on all fronts, impressing way more than an ordinary grilled cheese. Butter two slices of multigrain bread. Top one slice with some brie, turkey, prosciutto, arugula and some more brie. Spread a bit of fig jam on the non-buttered side of the second slice of bread and top the sandwich, fig side down. Toast in a warm skillet over medium-low heat until browned on both sides and melted in the middle, about 5 minutes for each side. Cut in half and serve.